Inside the Burrow 2018 Episode 1 - Class of 2018! 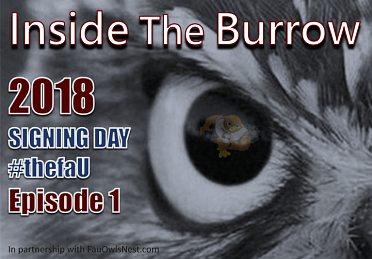 This week Dan, Jack, and Shane welcome former Owl's Nest Staff Writer Andrew Ivins of 247 Sports and take a look at Signing Day 2018 for FAU! Go Owls!